Pigmentation: Our Skin pigmentation is mainly due to a substance called melanin which is produced by cells called melanocytes. There are other factors responsible for our skin color as well, but the contribute fractionally, such as carotene and Hemoglobin. The melanocytes are situated at the junction of Epidermis (upper layer of Skin) & dermis (lower part of Skin). In dark-skinned people, the pigment production is more, in fair people the pigment production is less and in Asian people the pigment production is moderate. 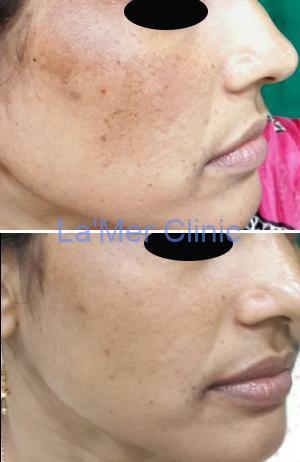 Any alteration in the pigment production or disturbance in the functioning of melanocytes gives rise to either Hyperpigmentation (dark discoloration), hypopigmentation (less pigmentation) or Depigmentation (No pigmentation) . In certain individuals there might not be any pigment production at all. Depends upon the cause. A woods Lamp examination is usually performed to determine the depth of pigmentation. 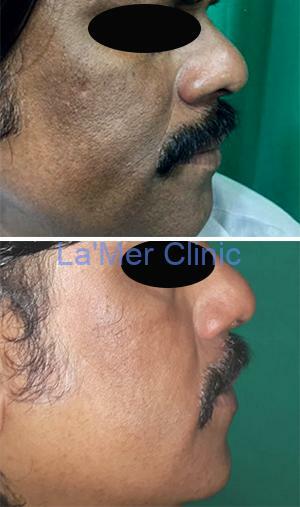 Treament can either be Medical treatment, Procedure-based or a combination of both.